Blogger Tips for Beginners 2019 - I can say I have been long enough for blogging activity. To start it just to make a little money. Quite a lot of experience that I get when becoming a blogger. From the experience of bitter, tamarind, wry, until the taste is sweet. Well on this occasion I want to share some tips for learning to blog specifically for my friends who want to blog but still confused how and where to start. Honestly, the first time I got to know my blog including people who can not write. Just to write a single sentence is very difficult. It makes sense to remember my background of a highly educated person, only a small school graduate who is not very smart, still very close to his next-door neighbor. But since becoming a blogger, Alhamdulillah little by little I started writing smoothly. Although it can not be pretty good, I think this is very unusual. Well if my friend is a person who likes to write, then I'm sure if my friend's blog skills to write buddy will increase and may not be a great writer. The benefits of blogging are also not only for ourselves because our blog can also help others with the knowledge or knowledge we have. Nothing else is more fun than blogging in addition to helping others. If we can help others through the blog then we will be trusted by our blog readers because it has provided useful information for them. What is the importance of trust? I'm sure my friends know that the online world is growing. Everyday internet users are growing and more and more people are starting to expand their business into the online world. One of the keys to online business success is trust. Well, blogs are a great place to build that trust. Another benefit is that we can easily build networks through blogs. If our blog is consistently filled with useful writing in accordance with our expertise, then more and more loyal readers who diligently visit our blog. If we already have trust and also a vast network on the internet, it will be very easy to grow business on the internet. The latter, of course, the blog can also be a place to make money. How? I will explain in more detail below. Well, that's some of the benefits of blogging that you can get. Actually, there are many more, but I only write 5 that I think is the biggest. Where to start? Starting blogging is actually very easy, but most people confuse themselves. Is the purpose of blogging important? Very important. If we do not have a goal then certainly our blog will become unclear where the destination will go, and we also become inconsistent in taking care of our blog. Blogging takes time, energy, and mind. Do not let everything is wasted because it has no clear purpose. Choose a topic that really interested friend in accordance with your hobby or expertise buddy. If my friend chooses a topic my own friend does not really like, then my blog will not last long. Lots of services that we can use for blogging, such as Blogger.com, WordPress.com, Tumblr.com, and so forth. Everything has its own advantages and disadvantages. But I think Blogger.com is the right choice for my friend. In addition to free, blogger.com is very easy to use for beginners. If my friend already has a blog then the most important is to fill your blog with writing. Begin to write whatever you want to write according to the topic you have chosen the buddy. As I mentioned a little bit above, the mistake almost made by most beginner bloggers is too busy with the look. Matching templates, plug-off widgets, etc. But nothing is important at all. Which will make your blog known and visited by many people later not because of the look, but the content that is on your blog. 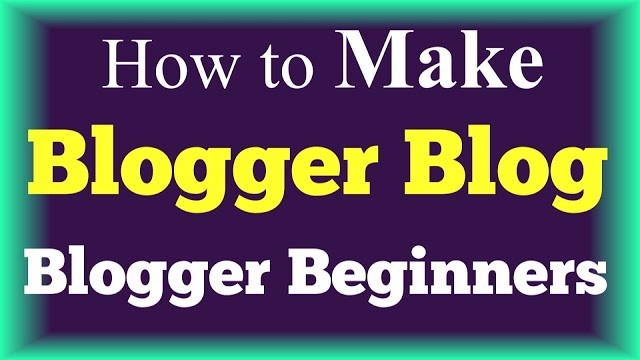 Beginner bloggers usually compete to fill his blog with as many posts as possible in hopes of being able to get a lot of visitors regardless of whether the results of the post itself or the results of other bloggers plagiarism. For information but minimal exercise As a beginner blogger is usually a sense of curiosity is very large. Read this until its head is full of information and confused which one should be practiced. A better bit of information but actually practiced rather than most information but completely unused. A Benefit is that we can easily build networks through blogs. If our blog is consistently filled with useful posts according to our expertise, then more and more loyal readers who diligently visit our blog. If we already have trust and also a vast network on the internet, it will be very easy to grow business on the internet. Of course, the blog can also be a place to make money. How? I will explain in more detail next post.